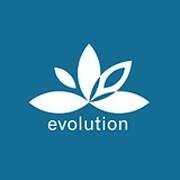 Start taking classes at Evolution to Wellbeing and other studios! This class will focus on strengthening your core. At Evolution to Wellbeing, session change weekly so that your body and mind can always be challenged and stimulated. There are no upcoming “Strength & Core” classes on this day. Classes occur at Lion's Park, in Narrabeen. Meet at the corner of Ocean St. and Albert St, near the Surf Club.